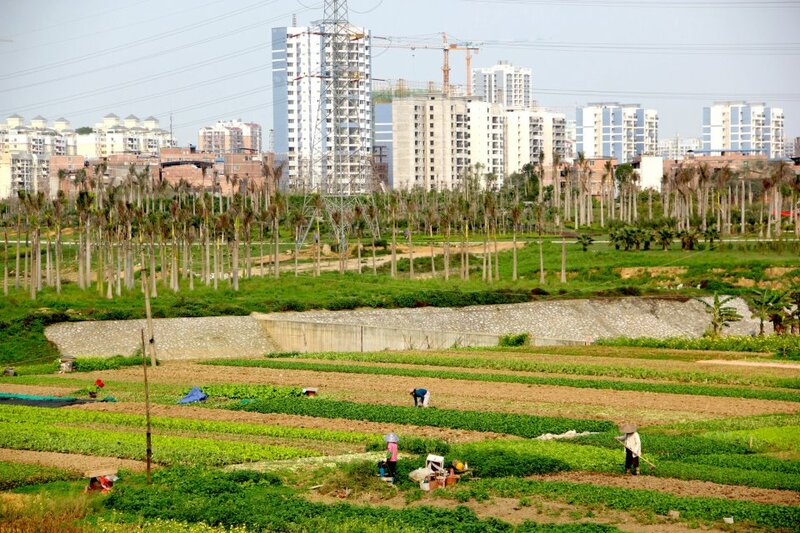 Nanning’s ultra modern and traditional landscapes side by side. Photo by Evan Schneider. 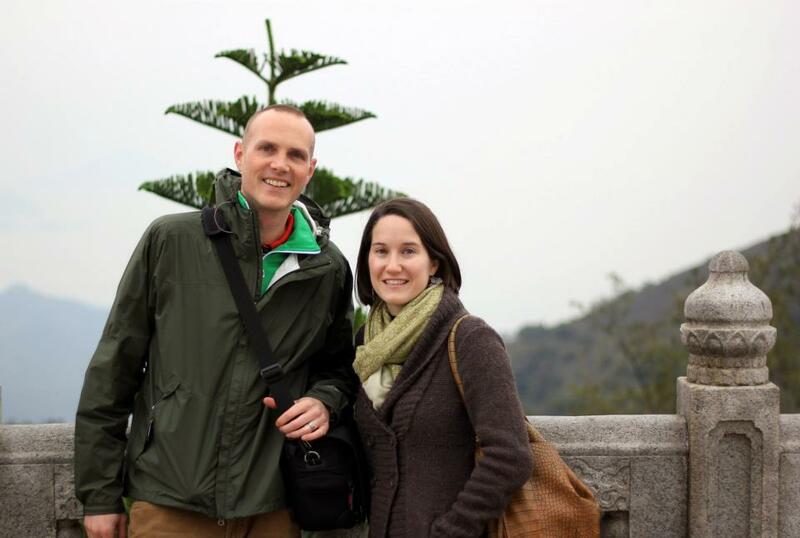 It’s been nearly two years since my husband and I moved back from living in South China (how time flies! ), but there’s rarely a day that goes by that I don’t think about the people, the place, or our life there. Moving to a foreign country as a young couple had its growing pains, but ultimately it brought us closer together and is an experience that we treasure and hope to repeat someday with our children. I have some friends and acquaintances who are getting ready to make the move across the ocean or halfway around the world and it got me thinking about what lessons I can draw from our own experience. So, here are a few suggestions for how to make the most of that international living experience, which is definitely more of an art than a science. My husband plays volleyball with the teachers from his college. My photo. It’s essential when you arrive to start building a community, through which you can learn about the culture, and among which you can begin to build relationships and feel at home. When I was doing my fieldwork in China, my network of informants was free-floating and dispersed, so it really helped that my husband was affiliated with a local university for his work, through which we met a mix of Chinese professors, students, and even expats. Finding a community–a housing complex, a company, a school, or a place of worship–that has some structure and rituals to it helps a lot when you’re struggling to learn the ins and outs of daily life in a brand new place and ensures that you won’t feel isolated despite the isolating experiences you’re often up against. Even setting up a weekly meeting with a language partner or a friend to explore the city can give you the motivation to get out there and get to know your new surroundings and help you feel more at home. Speaking of isolation, a great piece of advice I received from a couple before moving abroad and back was to be mindful that despite your commonalities you won’t be experiencing a new culture in exactly the same way. It’s imperative that instead of assuming cross-cultural experiences resonate or rub against us in exactly the same way as family or friends that we allow for multiple feelings and interpretations of the same events and experiences. When I was living in China, I often assumed my husband to be my cultural confidant who shared my frustrations, joys, and complaints, but that wasn’t always the case. It really helped to talk through those disconnects and resist making assumptions so that we could be sources of support to one another in a challenging experience. 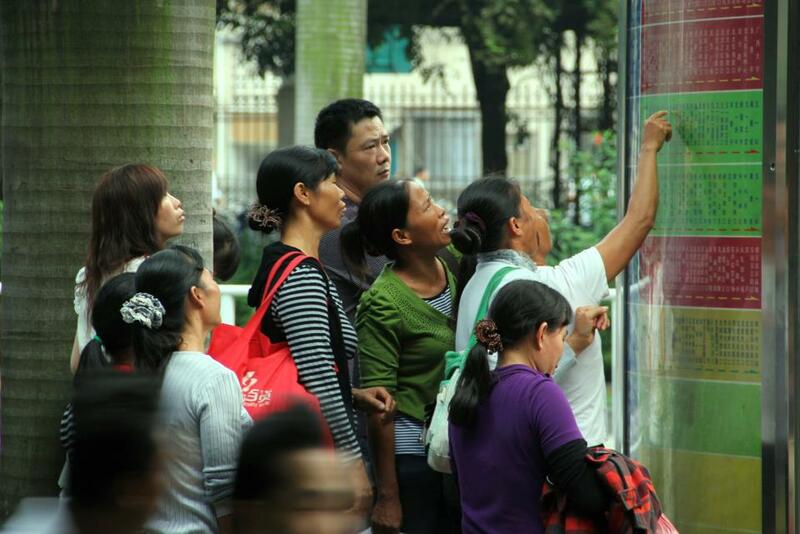 Even locals have to study the bus routes in Nanning! Photo by Evan Schneider. Now I’m completely biased, but I think it’s also important to suspend judgment and try to look past first impressions when you’re getting to know your new country and culture. Spend your time observing people, listening, and participating in life the way they live it. If you consider yourself a student of culture, it’s also a lot easier to tolerate and maybe even embrace differences that might be initially repulsive or confusing. As a student, you’re only responsible for asking good questions, applying yourself and learning to the best of your ability, and respecting your teachers, which is a wonderfully fresh and un-stressful way to relate to your new, and sometimes jarring, world! On a trip to Hong Kong. There will be times where you need a psychological or even a physical break from the fatigue of speaking another language, being a foreigner in a strange land, or adhering to customs and pleasantries that aren’t your own. It’s important to take these much needed breaks so that when you are with your new neighbors in your new country you can be the best version of yourself. For my husband and I that meant brief sojourns to Hong Kong every once in awhile, evenings every few weeks with expats, or simply alone time on our balcony where we allowed one another the freedom to speak candidly about some of our frustrations and fears. 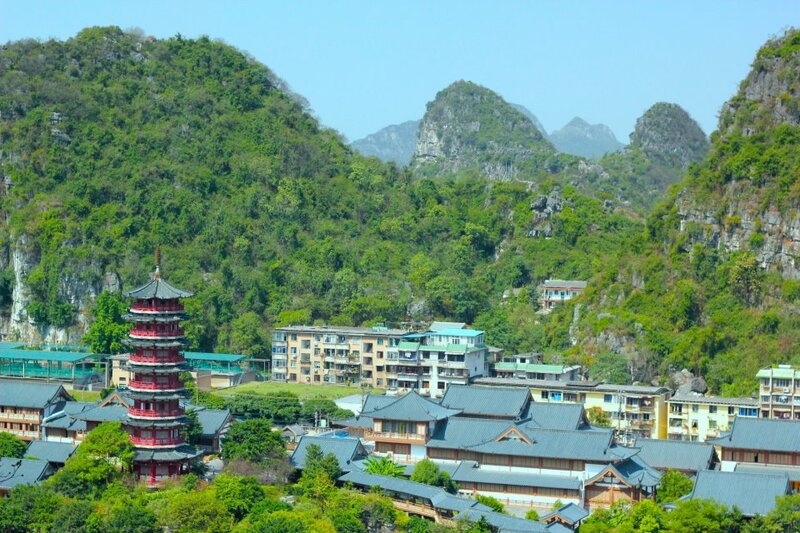 Beautiful Guilin. Photo by Evan Schneider. Don’t pass up the opportunity to explore your new country and culture while you have it. My fondest memories of China are the weekends and weeks where I made spontaneous research trips to the countryside with new friends, and the trips to Southeast Asia with friends and to the wildest parts of Guangxi with family. And I regret never making it to all the other places on our list–Harbin, Sanya, Cambodia, Thailand, and Myanmar just to name a few! Exploring the country with new friends deepens your understanding of the idiosyncrasies of what it really means to live in that place, because there’s nothing like long hours spent on buses and trains to bring people together. After all, the art of living abroad is about taking care of yourself but also taking chances!